This seminar will examine the emergence, institutionalization, and challenges posed to postcolonial theory through a set of key fictional, historical, and political texts, ranging from the late nineteenth century to the present. Much, of course, can be said about the academic disciplinarization of postcolonial studies in the Anglo-American academy from the 1980s onwards, occurring in the context of economic and cultural globalization and a new American imperialism. This seminar will consider these issues, but also focus on a range of influential texts written in earlier decades, and examine the ways in which they have shaped a host of contemporary academic debates about postcoloniality. Part One of the course will require reading M.K. 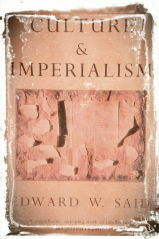 Gandhi’s Hind Swaraj (1910), in which Gandhi offers a radical critique of Western civilization and lays out many of his ideas that were to shape his later political projects of struggle. This text will be read in tandem with an undelivered speech of one of Gandhi’s most significant antagonists B.R. Ambedkar’s The Annihilation of Caste (1936). Supplementary readings by Arundhati Roy, Mahasweta Devi and others will allow us to discuss how radical critiques of the nation, nationalism and modernity have shaped subsequent theorizations of postcolonial studies. Part Two will focus on a range of African texts: chiefly, Frantz Fanon’s The Wretched of the Earth (1961) and Aye Kwei Armah’s The Beautyful Ones Are Not Yet Born. These texts examine the role of national culture within the project of decolonization, as well as the pitfalls of national consciousness in the context of neo-colonialism. These key texts will open up discussions about nationalism, culture and class struggle and their particular incorporation into late 20th century academic theorizations. Part Three will focus on the Haitian Revolution, and will examine selections from C.L.R. James’s The Black Jacobins (1938), an influential account of the Haitian revolution written in the context of early twentieth century anti-imperialist movements. The text will provide us with an opening to discuss contemporary movements against racism and imperialism and the resources that postcolonial theory can provide us with. The course will be run as a seminar. In other words, it will depend on your contributions to the discussion. In order to achieve this, you are expected to attend all the seminars and to do all the readings in a timely manner. Sudhir Chandra, “The Language of Modern Ideas”: Reflections on An Ethnological Parable”, Thesis Eleven, No. 39, 39-51, 1994. Week 7: Achille Mbembe, “Necropolitics” Mbembe, "Necropolitics"
V.Y. Mudimbe, “Discourse of Power and Knowledge of Otherness" in The Invention of Africa Mudimbe, "Discourse of Power"
Suzanne Cézaire, “1943: Surrealism and Us” and “The Great Camouflage” Cesaire, "Surrealism"